Marsala Chai is a blend of different spices used to flavour many things but most commonly hot tea. The spices used vary greatly depending on personal tastes, ranging from a gentle warming flavour to in-your-face spiciness with optional additions such as vanilla, orange or basil. I have tweaked my spice mixture to my preferred tastes which sits on the gentle warming end of the spectrum. 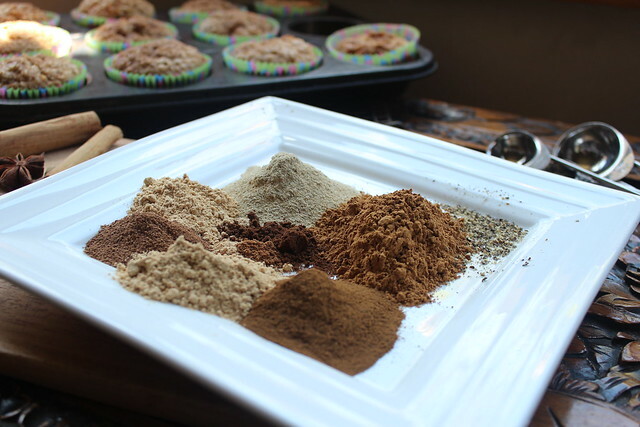 If you have a spice grinder, then use whole spices for a fresher zestier spice mixture. Once made, store the mixture in an airtight glass container away from sunlight. Use it to flavour baking, sprinkle on muffins, stir into your favourite muesli mixture – the possibilities are endless. I have made mango muffins with coconut and chai, these disappeared lightening quick, and apple muffins with coconut and chai (recipe coming shortly). I also have some whole spices infusing honey to make a lovely Chai Spiced Honey to use on pancakes or porridge. Once you delve into the world of chai, the possibilities are limited only to your imagination. Combine all the ingredients together in an airtight glass jar. Store out of the sunlight. This recipe was inspired by my previous post on the West Coast Cocoa Chai mixture. My spice mixture has turned out quite different to that of the West Coast Cocoa Chai mixture. Both of them are lovely (in my opinion). 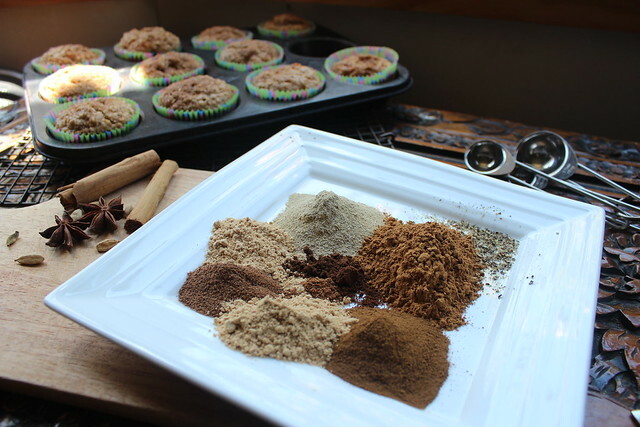 This entry was posted in Baking and tagged chai mixture, chai spice, homemade chai spice blend by Jo Dohrman. Bookmark the permalink.